Many restaurant stocks fell out of favor over the past year due to concerns about wage hikes, rising food prices, and fickle consumers. But today, a trio of our Motley Fool contributors will highlight three restaurant stocks you should still keep an eye on: Shake Shack (NYSE: SHAK), Wingstop (NASDAQ: WING), and McDonald's (NYSE: MCD). Leo Sun (Shake Shack): is a divisive fast-food stock. 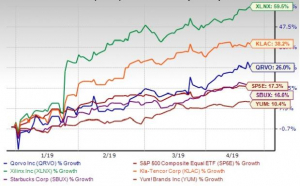 The bulls love its double-digit sales growth, cult appeal, and expansion plans, while the bears claim that it's relying too heavily on store openings to drive sales growth and that it's overvalued at nearly 70 times forward earnings. Analysts expect Shake Shack's revenue to rise 27% next year but for its earnings to grow just 7%. Shake Shack reports its growth in "Same-Shack" sales, which measures the year-over-year growth of stores open for at least two years, instead of traditional same-store sales, which measures that growth in stores open for at least a year. That proprietary metric makes it tough to gauge the performance of its newer stores. Its Same-Shack sales dipped 0.7% annually last quarter, missing expectations for 0.9% growth, and its Shack-level operating margin fell 140 basis points to 25.8%. However, its total revenues still rose 27% on new store openings. Its total domestic company-owned store count climbed 37% to about 124 locations in fiscal 2018 (which ended on Dec. 27), and it plans to open up to 40 new locations in 2019. Shake Shack is trying to pull off a tough balancing act, but Jefferies recently upgraded the stock from underperform to hold, noting that it was a "cult brand with impressive unit growth." The bears also eased off the stock, with just 16% of the float being shorted as of Jan. 10. 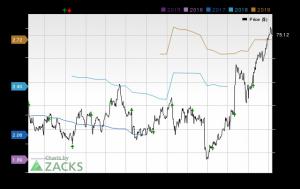 Therefore, Shake Shack could be an interesting battleground stock to watch as it approaches its fourth quarter earnings in February. Jamal Carnette, CFA (Wingstop): Wingstop stock starts 2019 in the same manner it ended 2018: on a tear. After gaining 65% last year, the company is up approximately 10% year to date. The company's done its part to reward growth-oriented investors. In the recently reported third quarter, the company reported revenue growth of 15% through a combination of same-store sales growth and increased franchised units. Same-store sales growth is more sustainable, as it indicates ongoing demand for the product. 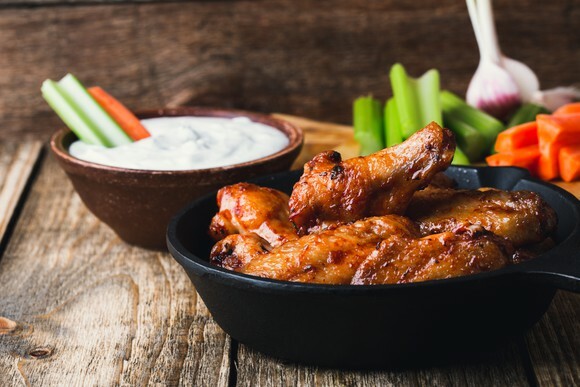 And despite increased store counts, Wingstop reported an acceleration in this figure -- 6.3% versus the 4.1% figure posted in the year-ago quarter -- pointing to more demand as brand awareness increases. More importantly, due to the strong growth Wingstop was able to drive down expenses -- labor, food, and beverage, and packaging costs -- as a percentage of sales. This has been a source of short-term pain for many restaurants as the unemployment rate drops and inflation starts to pick up. Despite the strong stock performance, Wingstop is only a $2 billion company. Look for shares to continue their rally as management executes upon its growth vision. Demitri Kalogeropoulos (McDonald's): Investors have some good reasons to follow McDonald's fourth-quarter earnings report, slated for Jan. 30. 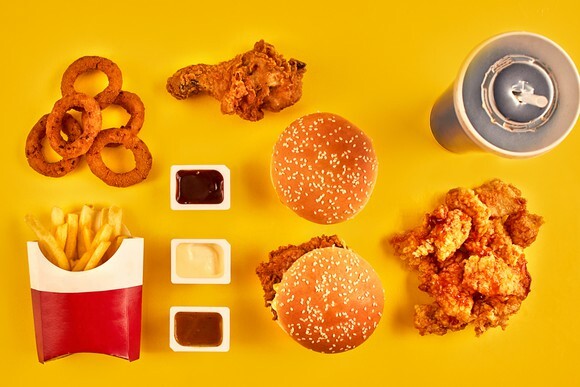 The fast-food chain turned in respectable results over its last few announcements, with sales rising 4% in the most recent quarter to leave most industry peers comfortably behind the burger titan. There are signs that McDonald's rebound is losing steam, though. Customer traffic has declined in the core U.S. market in each of the last three quarters, for example, and turning that tide will have become harder with Starbucks (NASDAQ: SBUX) and Dunkin' Brands (NASDAQ: DNKN) both stepping up their efforts to win business in the morning and afternoon hours. McDonald's executives have predicted better results in the U.S. as they scale up their remodeling initiative, and this report will go a long way toward proving them right -- or wrong. CEO Steve Easterbrook and his team will likely spend time in late January commenting on the key growth drivers for 2019. After all, most of the gains from their biggest sales and profit drivers, including all-day breakfast and the refranchising initiative, have already accumulated to the business. That's why it will be interesting to see how Mickey D's expects to keep its positive momentum going into the new year. Demitrios Kalogeropoulos owns shares of McDonald's and Starbucks. Jamal Carnette, CFA has no position in any of the stocks mentioned. Leo Sun has no position in any of the stocks mentioned. 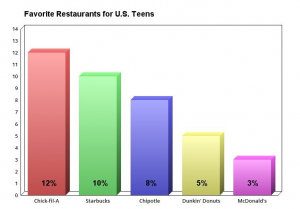 The Motley Fool owns shares of and recommends Starbucks. The Motley Fool recommends Dunkin' Brands Group. The Motley Fool has a disclosure policy.